Hurricane Maria hit the island of Puerto Rico on 20 September 2017 and triggered more than 40,000 landslides in at least three-fourths of Puerto Rico's 78 municipalities. In a new article from GSA Today, authors Erin Bessette-Kirton and colleagues write that "the number of landslides that occurred during this event was two orders of magnitude greater than those reported from previous hurricanes." The authors, from the U.S. Geological Survey and the University of Puerto Rico, evaluate the extent and characteristics of Maria-induced landslides throughout Puerto Rico. 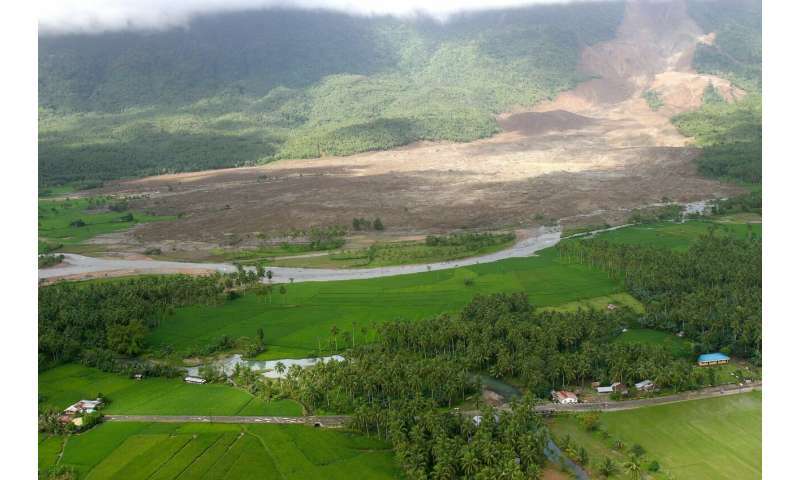 They present an assessment of island-wide landslide density, which they compare, in conjunction with rainfall data, to tropical cyclone systems that have affected Puerto Rico since 1960. Additionally, they discuss the conditions specific to landsliding in Puerto Rico and examine the impact of environmental variables (e.g., rainfall, soil moisture, and geology) on observed variations in island-wide landsliding. In their analysis, they show that the average rainfall from Hurricane Maria in mountainous areas was greater than that of any other hurricane or tropical storm in Puerto Rico since 1960. An important aim of the study, the authors write, is to achieve a better understanding of the factors that cause landslides in Puerto Rico in order to enhance susceptibility analyses and risk management efforts.